Water lilies, although not uncommon, are seen only occasionally in Hawaii. 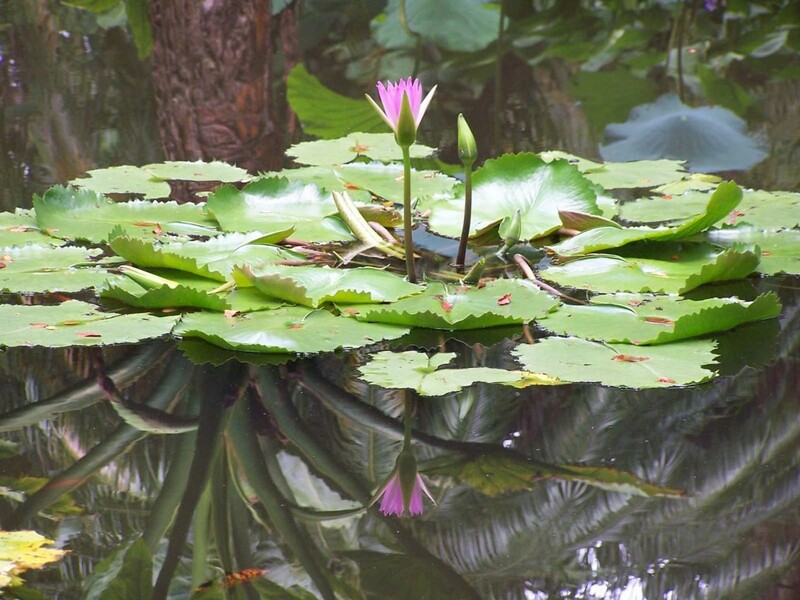 With few lakes or ponds, water lilies tend to be seen in established gardens. This light pink water lily was photographed in a small pond at a Hawaii botanical garden. On a calm day, this reflecting pond was true to its purpose and created a beautiful shot appearing to have a water lily both above and below. The water was so still that it can be hard to tell where the water ends and the plants begin.